How do I travel to Sicily? How do I reach this apartment? You can reach the island by ferry or plane. 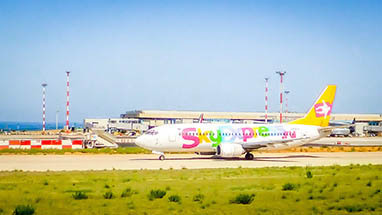 The vast majority of tourists coming to Sicily prefer flying, so their holiday begins at one of Sicily's three airports, all of which receive international flights. There are direct flights from many destinations in Europe, so from Northern Europe your journey will be three hours at most. 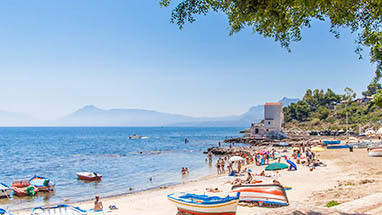 The tour operators who bring tourists to Sicily book hotels for them, but this site is mainly aimed at travellers planning their own holiday, who usually prefer staying in self-catering apartments, beach villas or other independent holiday lettings. 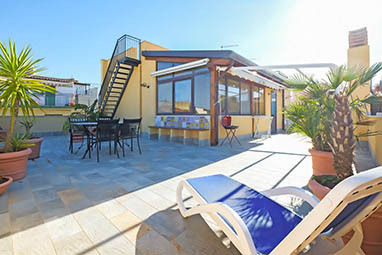 This website lists a hand-picked selection of unique and varied holiday lettings in Sicily, which offer the highest quality accomodation with additional services to enhance your holiday. How do I reach the apartment? If you like being fully independent, we recommend hiring a car in Sicily. There is a vast selection of them at the airports. A rental car not only simplifies the journey to your booked apartment, but is the only way to reach a few of Sicily's nature reserves and most unusual attractions. If you prefer the tranquility of a car-free holiday in Sicily, you will need an apartment near a train station. 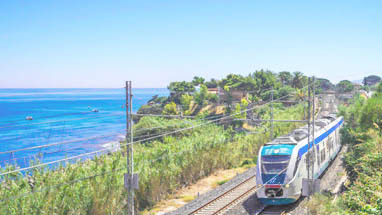 With coaches and Trenitalia, you can get almost anywhere in Sicily surprisingly easily. Our selection of holiday lettings has a special section for car-free holidays in Sicily. And what can I do on Holiday in Sicily? Having arrived at your apartment, you will want to find the supermarket, the local bars and, obviously, the nearest pizzeria. 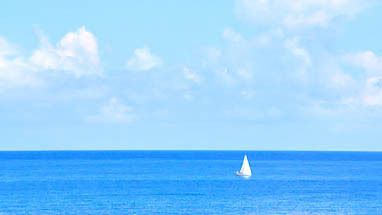 Many guests rent an apartment close to the sea and want to start enjoying the Mediterranean beaches right away. Some may also have booked a language course in addition to the apartment. The language schools next to our selected apartments usually offer cookery courses and sightseeing excursions as well as language lessons.